We sell gold and silver coins and bars for investments!! Throughout Chicagoland, when anyone needs top dollar for gold coins, bullion, jewelry and other precious metals they come to Archie's in Chicago. We buy ANYTHING from scrap gold, scrap silver and scrap platinum - any shape, any size! ASK ANYONE - we give better prices than pawnshops, hotel buys, in-home parties and those risky mail-in offers that rip you off. What do you want to sell? Archie's buys 10k, 14k, 18k, 22k, and 24k gold earrings, gold bracelets, gold necklaces, gold watches, lockets, gold coins, scrap gold, dental gold, sterling silver jewelry, silver coins, cocktail rings, wedding bands, gold class rings, and cluster rings. We also buy bent jewelry, broken gold chains and even jewelry with missing stones- Archie's comes through with the best prices. 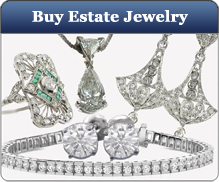 See our coupon for a free 30 minute appraisal. 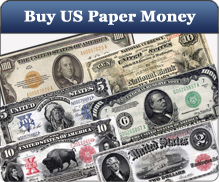 Archie's buys and sells gold bullion coins, gold bars, and we buy and sell All US collectible gold and silver coins- Junk 90% silver coins before 1965 dimes, quarters, half dollars, 40% silver half dollars from 1965 to 1970, collectible US paper money, and even US proof sets & mint sets. With precious metals like gold, silver and palladium coins currently out-performing the stock market now is the time to invest! 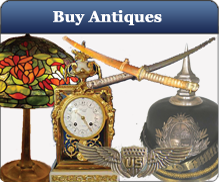 Do you buy and sell rare antiques and other collectibles?Archie's in Chicago will buy your Estate jewelry, diamonds, gold watches, brooches, gold pocket watches, Designer jewelry...Tiffany, David Yurman, John Hardy, Lois Hill, Lagos and more, All collectibles, old toys, war items and military medals, model trains, toy trains, Lladro and more for top dollar. NO JOKE. Archie's also deals in antiques mantel clocks, tiffany lamps, depression glass, sterling silver tea and, coffee sets, and much, much more. Nothing is too large or too small; we can help you. Archie's is the most trusted "buy and sell store," a numisic coin dealer and a member of both PCGS and NG. Through "word of mouth" we've built our business because antique dealers, jewelers and the general public trust Archie's to give the best prices. People from all over Illinois, Wisconsin, and Indiana, and from throughout the U.S. prefer to deal with the knowledgeable professionals at Archie's in Chicago. Visit us today for a low pressure, no risk appraisal and see for yourself why others have continued to do business with us year after year. Consider us a collectible coin shop, Chicago coin store, Chicago collectible toy shop, buyer of all types of scrap gold and scrap silver, buyer of gold watches, and a lot more at our Chicago location. 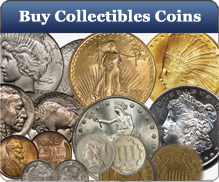 Collect gold coins, jewelry and bullion, other precious metals, antiques and collectibles just laying around your home. Visit us at 5516 West Devon in Chicago - same location since 1955. Family owned and operated, we give better prices than ALL our competitors. Come in today while gold is at an all time high. Get a Free 30 minute Quote by Printing this Coupon.